Easter is just around the corner and it is another holiday that I just love! This year will be extra special with our little arrival on the way 🙂 I can’t even believe it! We usually spend Easter with my husband’s family and I so enjoy the traditions we get to take part in every year. As mentioned, this Easter will be quite different but it makes me SO excited to think about all of the future Easter’s to be celebrated with our little boy. Picking out a pretty Easter dress is always something I look forward to! 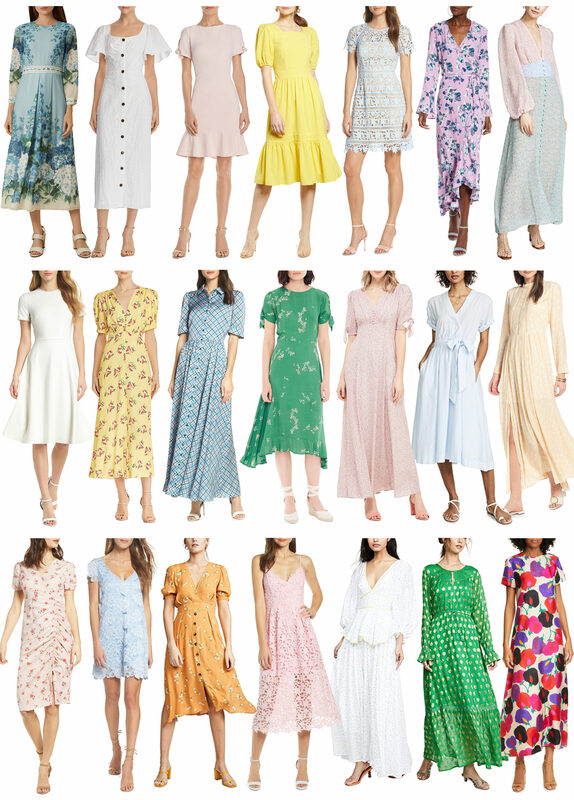 Depending on how you spend the day, I wanted to find dresses that would be fitting for all events as well as meeting your needs with different prices points, colors, and styles. I hope you find something you love! Love these pretty Spring finds!!! !